The soil in our garden area is pure clay. Seriously! Red and solid! We put in raised beds when we built the garden area a few years ago. Still, I’ve had no luck growing root vegetables. So, this year, we built a root bed. We used what we had on hand (roofing tin and pipes) and constructed a three tiered bed for our beets, carrots, burdock, and maybe dandelion. 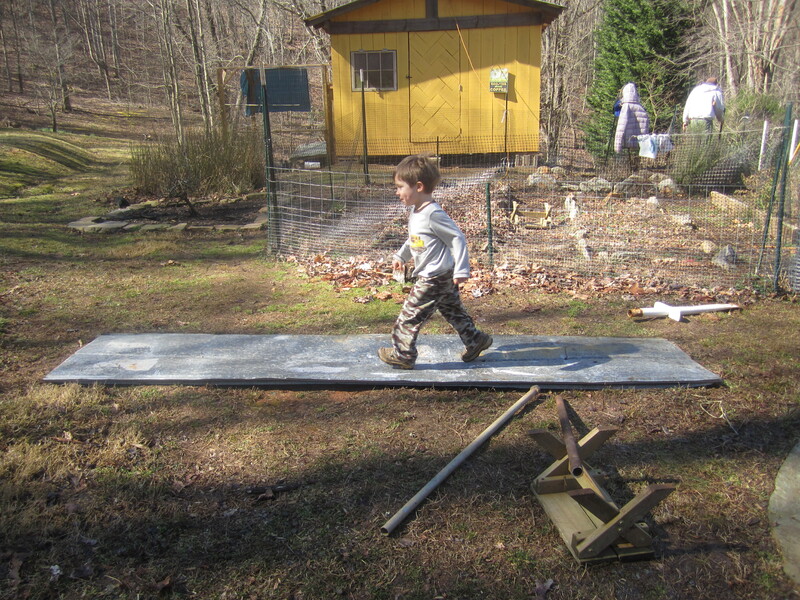 Leif insisted on helping by making thunder noises while running over the roofing tin (over and over again). 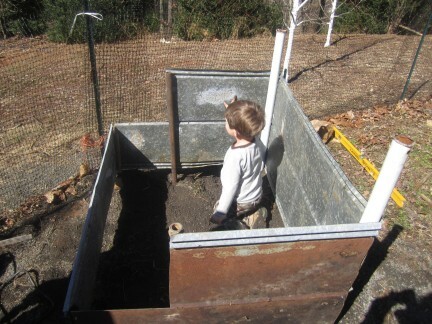 Then, he became a backhoe, which little 4 year olds can do, and dug out the root bed area for us. So far, I’ve seeded the beets and carrots. With all this snowy weather, nothing has popped up yet. 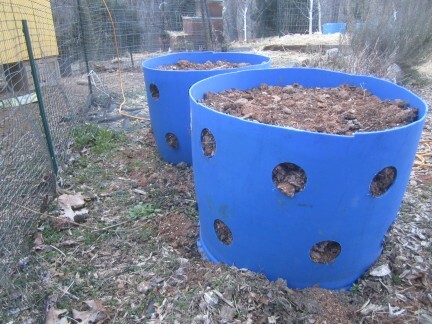 We also purchased some 55 gallon drums to make into strawberry and potato beds. The barrels were cut in half and drainage holes were cut into the bottom. 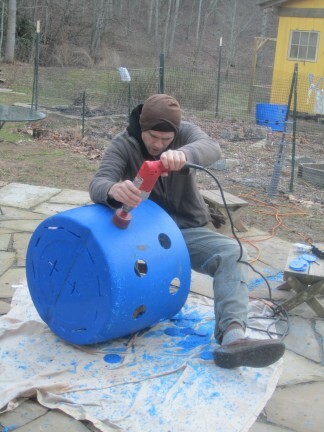 For the strawberries, Toby drilled large holes in the sides of the barrels for the strawberry plants to grow from. I’ll put the strawberries in as soon as we get a litter warmer weather. I may put a borage (one of strawberry’s companion plants) on top of each strawberry barrel, too The potatoes should be here in a week or two. I’ll let you know how they all work out!! I’m inspired! 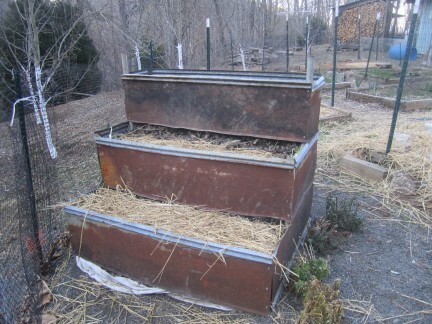 Been trying to figure out how to build deep raised beds…thanks! These are brilliant ideas! Our carrots were so stubby last year because the raised beds weren’t deep enough. I love the strawberry barrels and didn’t know that about borage. Good luck!